Education is very important especially nowadays that attainments concerning learning is vital in many jobs. Education in learning institutes usually is a long process that takes a person years to finish. Depending on the country where someone is studying, the number of years may vary. Every day in a student’s life must be filled with learning and should not be put to waste. That is the reason why teachers create lesson plans so they can have a guide on what they need to teach their students and how it is going to be taught. 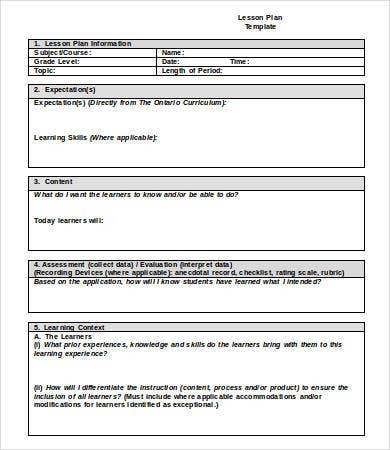 We have available Lesson Plan Templates that you may take a look at. 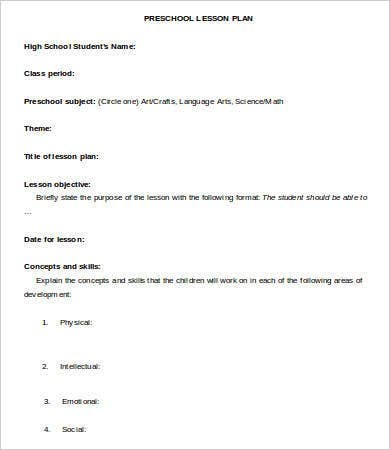 A lesson plan is a document that contains all the information about the lessons intended for the students to learn in a specific period of time. 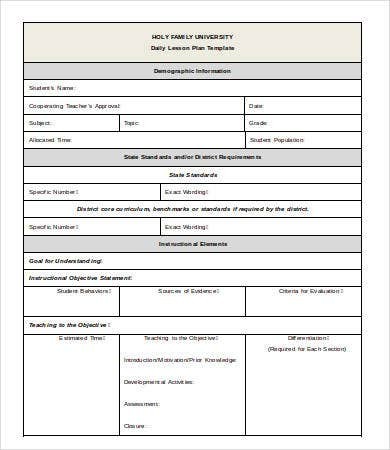 It gives concrete details on the subject matters that are going to be taught and the course of instruction that will be used. 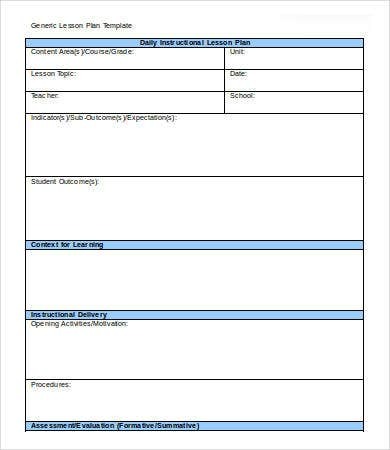 The lesson plan is used by teachers to plot the activities, assignments, and other teaching plans that they have for their students. 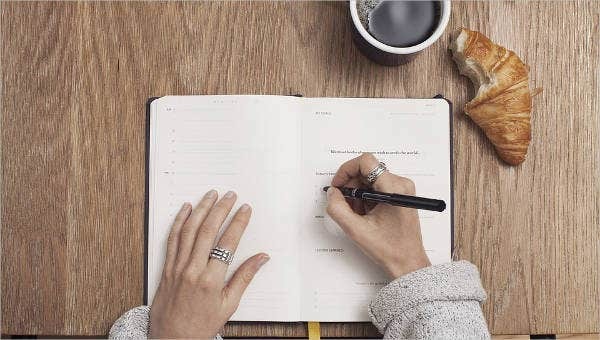 If you come to think of it, it is like the professional schedule of the teachers so they can keep up to what they need to do in a given time frame. To be able to properly guide learning throughout the week, lesson plans must be used daily. There shall already be a plan for a specific course of action that must take place even before a class starts. 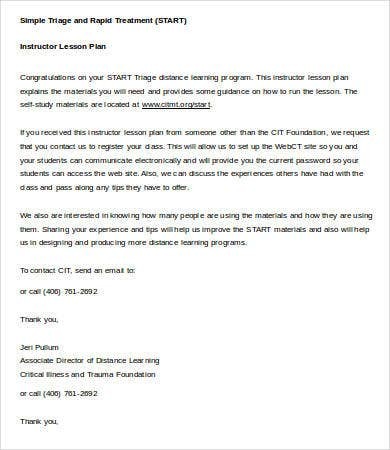 Details of the lesson plan will vary depending on the factors that the teacher will look it which include his or her personal take on the matter, school guidelines, the topics that the teacher is to teach and the ability of his or her students to cope up with his or her teaching techniques. 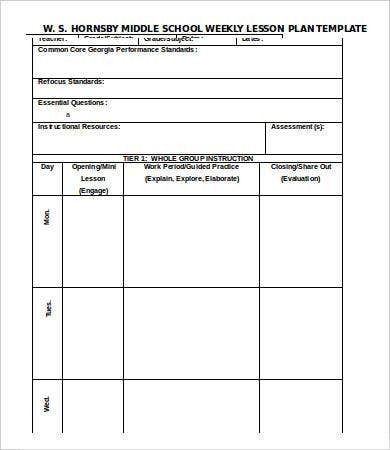 We have downloadable Preschool Lesson Plan Templates and Common Core Lesson Plan Templates for your references. 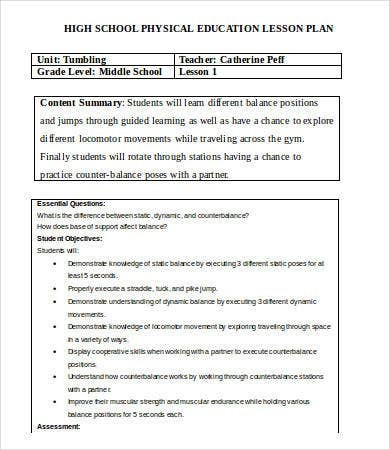 It is very important for a teacher to write a lesson plan well and plan properly as it is where the growth of his or her students in terms of the subject matter that he or she is teaching will depend. 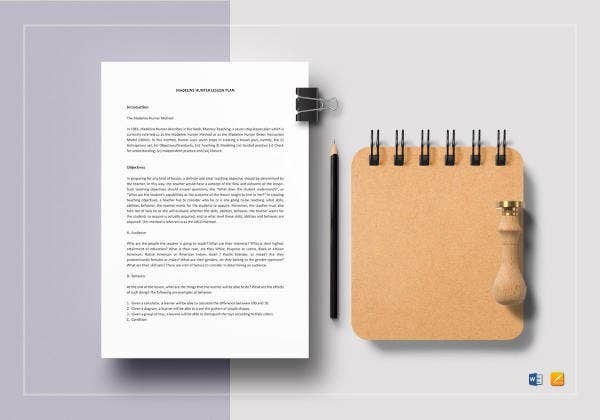 Knowing how to ace all the points of getting a lesson plan work may be done through creative thinking, analyzing how the students are coping up with all the activities, and on how effective and efficient it may be used. It may take some more experience and teaching before it occurs but it sure is worth it to develop the teaching and learning process. 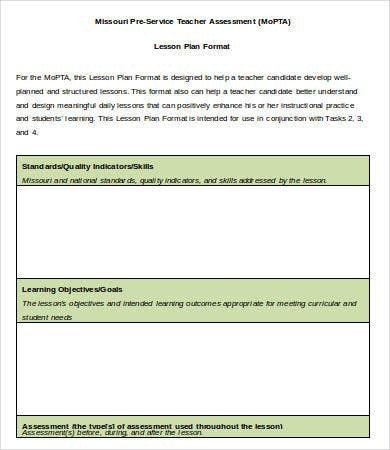 Having a lesson plan will help more teachers to get the objectives that they want to achieve and help the students learn more, which should be their everyday goal especially that they are in the teaching profession. 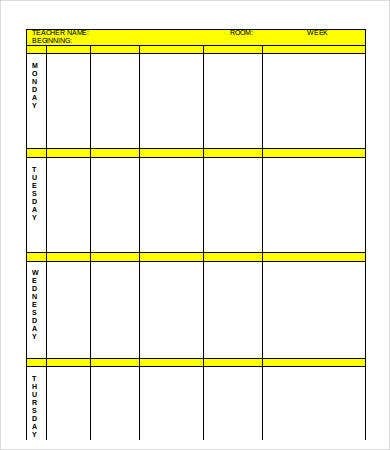 Aside from lesson plan samples, we also have more specific plans like Art Lesson Plan Templates ready for download.